Commonly referred to as HVAC, heating, venting and air conditioning units use a basic electronic communication system to start and stop. This is especially true of heating and cooling applications that are controlled by a thermostat. This units cannot run all the time -- it would burn out the system and render it useless. But they also need to be turned on when needed, and not just at random times. The single pole contactor is a common set-up for addressing this issue in residential HVAC systems. The contactor itself resembles a large electrical connector device that channels current through two different screw sets, which carry the high voltage needed for unit operation, typically using a 24 volt coil. Wiring for the single pole contactor begins at the thermostat, which sends the 24 volt signal to the contactor when it senses that the temperature has reached the right range. The range is decided by manual settings to control air temperature. The thermostat signal generates a magnetic signal that completes contact between the line and load side. The line side is always powered, but needs the magnetic force generated by the signal to connect to the load side, where the blower, fan and other unit components are waiting to be charged and started. 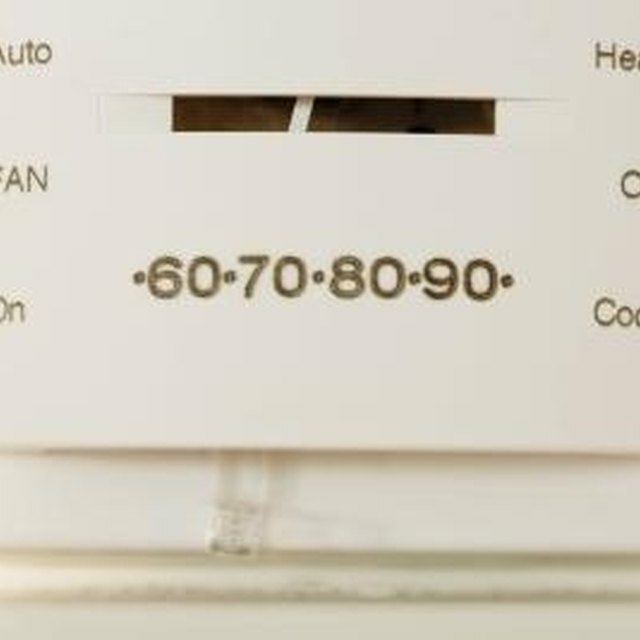 When the thermostat reads that the temperature range has been reached, it stops sending the signal, causing the line and load to separate again. Single pole contactors have two different 120 volt circuits, one with a white wire and one with a black wire on the load side. It is called a single pole design because only one of these circuits is actually broken and re-connected. The bottom circuit, powered by the black wire, remains connected constantly, always allowing power to flow into the HVAC system. Single pole contactors are used in HVAC systems because they have a habit of developing damage through arching. The contracto can only break and reconnect 240 volts for so long without eventually wearing out, leading to current loss and voltage drop. Allowing one circuit to stay constantly connected can spare the system some of this wear and allow it to last longer. What Is an Isolating Transformer?